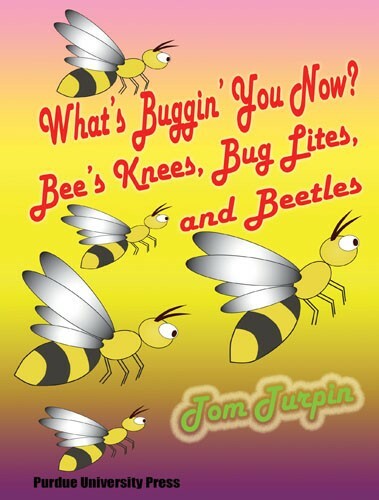 The author of Flies in the Face of Fashion, Mites Make Right, and Other Bugdacious Tales is back with more ditties on the insect kingdom. Find out about Aesop's insects, Edgar Allan Poe's Gold Bug, and Ogden Nash's creepy crawlies. Dig up some facts on the Colorado and Japanese beetles, and cash in on the million dollar beetle. Head for cover, the Bombardier beetles are coming! If you're in the dark, hook up with a firefly. Bugs have been around longer than your great-great-grandma—400 million years before to be somewhat exact. Insects strolled around with dinosaurs and kept on going even when the behemoths disappeared. What's Buggin You Now? let's you catch the bug without the jar!